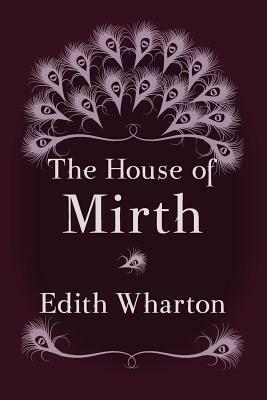 The House of Mirth by Edith Wharton is set against the backdrop of 1890s New York upper-class society, written in the style of a novel of manners. Wharton places her tragic heroine, Lily Bart, in a society that she describes as a "hot-house of traditions and conventions." The novel start with the unmarried Lily's visit to Lawrence Selden's apartment, a man whom she has feelings for. But to keep her social standing, Lily must marry a wealthier man than Selden. She turns towards Percy Gryce, a young and timid millionaire. The book received a good review with the New York Times, saying it was, "A novel of remarkable power." There followed months of letters to the Times, arguing over the book. Some readers were enthusiastic fans, while others felt that the book unfairly impugned the city's social elite. Edith Wharton (January 24, 1862 - August 11, 1937) was a Pulitzer Prize-winning American novelist, short story writer, and designer. She was nominated for the Nobel Prize in Literature in 1927, 1928 and 1930. Wharton combined her insider's view of America's privileged classes with a brilliant, natural wit to write humorous, incisive novels and short stories of social and psychological insight. She was well acquainted with many of her era's other literary and public figures. Many of Wharton's novels are characterized by a subtle use of dramatic irony. Having grown up in upper-class turn-of-the-century society, Wharton became one of its most astute critics, in such works as The House of Mirth and The Age of Innocence. In addition to writing several respected novels, Wharton produced a wealth of short stories and is particularly well regarded for her ghost stories.